Why is the PRIMITIVE Lift better than a spacer only lift? 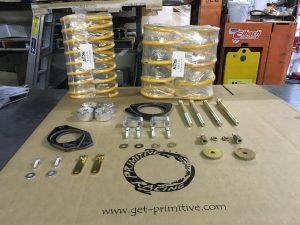 I get asked what makes a PRIMITIVE LIFT kit superior to other SPACER ONLY (cheaper) lift kits on the market. The answer is pretty simple. 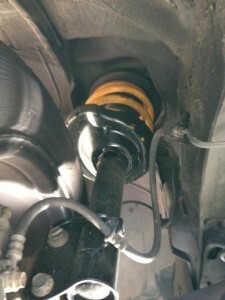 Our lift kits are designed around HEAVY DUTY King Springs. This makes our lifted car HANDLE much better than a spacer only lift, AND the heavy duty nature of the springs included with the kit, allow for much more load with less sag. 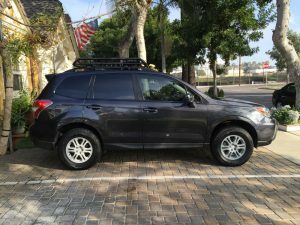 Perfect for those doing OVERLANDING and loading the vehicle with people or gear or both! Also great if towing or putting any weight on the back of the car (spare tire or gas cans, etc) The other advantage of our kits is that they come COMPLETE with everything needed to lift and correct alignment. You don’t have to seek out those missing pieces like other “low cost” lifts. Our kits include springs, spacers, shock extensions, PRSS (Primitive Rear Subframe Spacers), brakeline brackets, and new heavy duty rear strut tops (reinforced) in some kits. We have been in business for 21 years and have plenty of experience in designing, developing and manufacturing the best Subaru accessories out there. We carefully select the springs and components for our lifts for best ride, handling and longevity of the car. 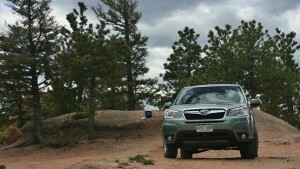 Most Subaru dealers buy our lifts that you see in the showrooms. Look for our brand new Ascent TRIPLE ARMOR to come out soon. It will blow you away!